I. Top value day trip: Mayapan archaeological site and Merida. Visit the last Mayan capital of the northern lowlands: Mayapan, which follows the Chichen Itza blue print, albeit in a smaller scale. In contrast with Chichen Itza, you are allowed to climb all pyramids and buildings. Since it is closer to Mérida, you will also be able to visit the key landmarks of our capital city (Mérida): the Montejo palace at the main square, the 17th. century barroque cathedral, the mural paintings at the State building plus the sisal-era mansions (early 1900’s) along the tree-lined Montejo boulevard. Rate for up to 6 passengers including entrance fees and sales tax: $320 USD. Visit the landmarks of historic Mérida: Montejo Palace, the Cathedral, mural paintings by Castro Pacheco at the State building, stroll along Montejo Boulevard lined with majestic 19th. century mansions: Palacio Cantón, Casas Camara, Quinta Montes Molina. Continue to the ancient Mayan city of Dzibilchaltún. Visit the museum (closed on Mondays), climb the pyramids and end the visit with a cooling dip at the cenote (natural sink-hole). Rate: $280 US dollars per van (including taxes), up to 7 passengers. Does not include entrance fees to archaeological site ($12 US adults, $2 children). This classic Mayan site is one of the finest examples of Puuc architecture. Nested in the rolling hills of southern Yucatan, the Magicians Pyramid towers among the low rain forest. Visit the Governors Palace, the Nunnery and climb the Grand Pyramid. Rate: $300 US dollars per van (including taxes), up to 7 passengers. Doest not include entrance fee to archaeological site ($18 US adults, $ 10 children). Included on all day trips: ice box with bottled water. If you select day trip II, we provide towels for swimming activity. Once you leave the ship, walk to the marine terminal. 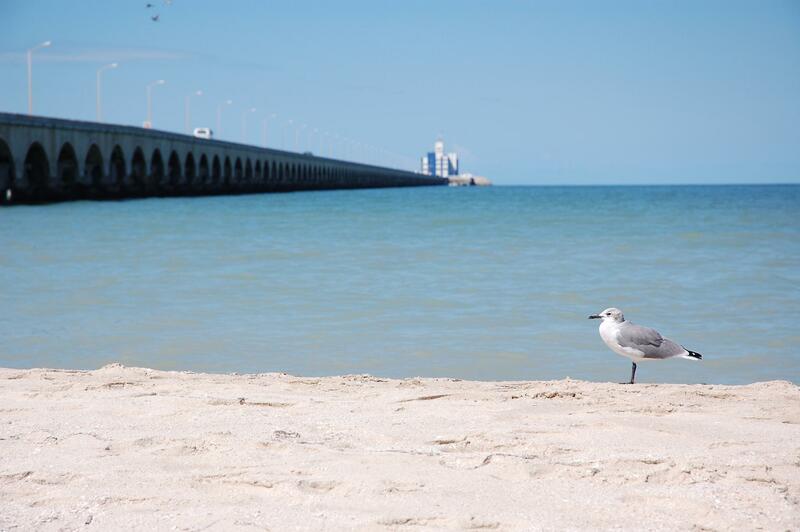 Look for the free shuttle bus to Progreso. The bus ride from the terminal building to the shuttle bus stop at the mainland takes about 9 minutes. We will meet you at the shuttle bus stop with a sign with your name on it.